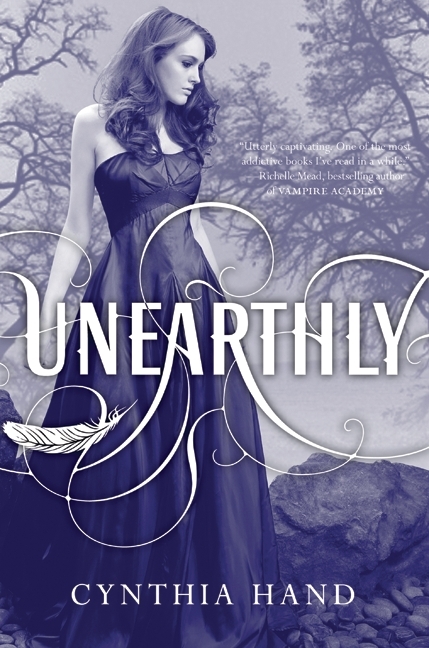 I’ve been on a bit of a fallen angel kick lately with the Hush, Hush saga and now this. I just heard about this book not to long ago and I thought it sounded good, I added it to my TBR but there was no rush. Then I got a kindle. YAY! And this book was only 99 cents so of course I had to by it. Once I started reading it was love at first page. This book was absolutely perfect! There wasn’t a single thing I didn’t like about it. -Clara was a great main character! Usually the main character will grate on my nerves at one point or another throughout a story but not Clara. She didn’t make a single decision I didn’t agree with and love her for. There were a few instances where she had to make some huge and I mean HUGE decisions and this is normally where the character does something that makes you want to scream or slap them but Clara surprised me every time by making the decisions I was hoping she would. – Christian is perfect. He’s sweet, funny, extremely handsome, the guy every girl at Jackson Hole High is in love with. Usually the good-looking popular guy turns out to be a jerk in the end, but not Christian he truly is a great guy. – But then there’s Tucker… Tucker stole the show and my heart the minute he walked into the school cafeteria and called Clara “Carrots.” Tucker is a true Wyoming cowboy and outdoorsman. Skiing, hiking, fishing, white water rafting, horseback riding. There’s nothing he can’t do. – Angela is one of Clara’s best friends. At first I was skeptical of Angela. I wasn’t sure if I trusted her or not but she’s always there when Clara needs her and proves herself to be a really great friend. I knew there was a second book when I went into this and was expecting a cliffhanger ending but don’t worry there are none of those here. The ending is satisfying in itself but also leaves enough open that I’m itching to start the next book, Hallowed. This entry was posted in 5 Hearts, Paranormal, Review, Romance and tagged Cynthia Hand, Fallen Angels, Harper Teen, Series, Unearthly. Bookmark the permalink. I came across this book a couple of times and wondered if I should put in on my tbr stack. Thanks for the review Amanda! Great book review Amanda. A different kind of story. I think I saw it in the bookstore too, but will have to check it out after your review. Thanks for introducing me to the book and author. tv series sounds so exciting! glad you enjoyed it. If you love a great angels story, with research and romance, then read this book. I can guarantee you that it will be on heck of an reading experience! Amazing book that questions the rules of fate and love in a great blend of realism and fantasy.